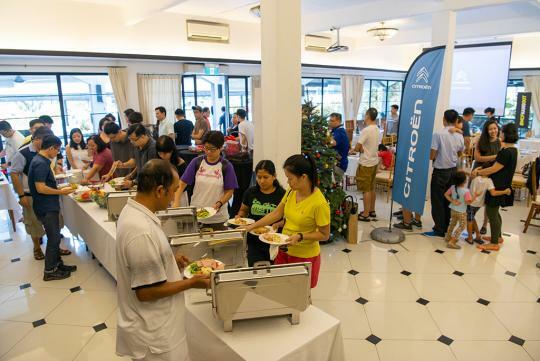 80 MyCarForum (MCF) members and their loved ones gathered at Masons at Gillman Barracks on Saturday afternoon to celebrate Christmas with Citroen Singapore. 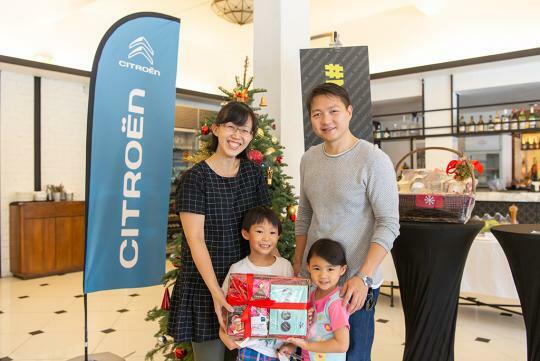 Aside from a sumptuous brunch, the event was an opportunity for MCF members to learn more about the Citroen brand and its latest range, in particular its C3 Aircross, which is in the running for sgCarMart's Compact Crossover of the Year 2018. 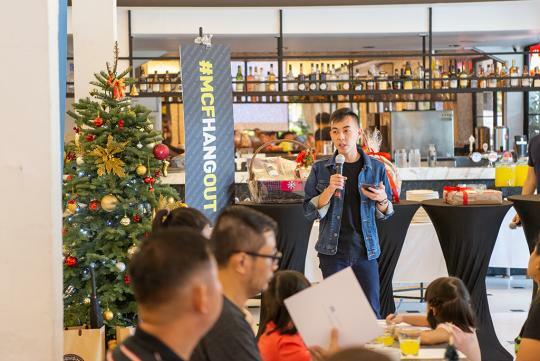 During the event, sgCarMart's Deputy Editor Nigel Yong shared his experience driving the C3 Aircross, which he describes as 'a quirky-looking compact crossover that's highly practical'. "The C3 Aircross, with its pudgy proportions, slatted rear quarter glass and animated two-tier headlamps, is so unorthodox that you can't help but love it. And thanks to the PSA Group's PureTech 1.2-litre three-cylinder turbocharged engine that powers it, supplying 110bhp and 205Nm of torque to the front wheels, there's enough spirited performance for zipping around town. More importantly, the amount of storage bins and cup holders on offer meet the standards of its class, while its 410-litre boot is big enough for a family's needs," he said. 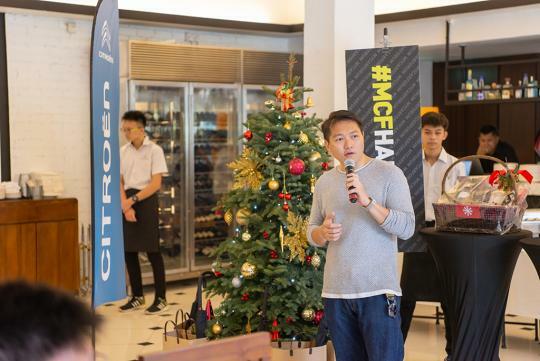 Dave Wong, Senior Manager Sales & Marketing, Cycle & Carriage France, continued by giving the guests further insights into the rest of Citroen's history, technology and range, which currently comprises the C4 Cactus and Grand C4 SpaceTourer, too. 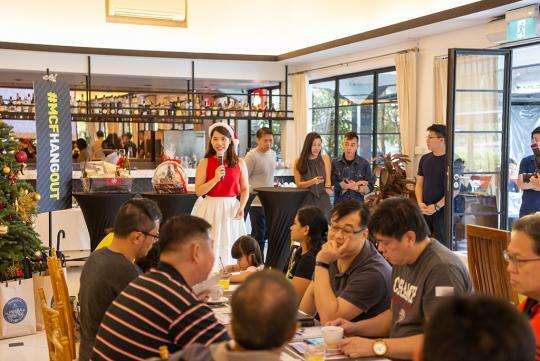 At the same time, guests had the opportunity to test drive the full range of Citroen models, while those who were waiting for their turns enjoyed quizzes and a round of Bingo. Of course, in the spirit of giving, some lucky MCF members also walked away with attractive Christmas hampers. All smiles behind the wheel of the Citroen Grand C4 SpaceTourer! 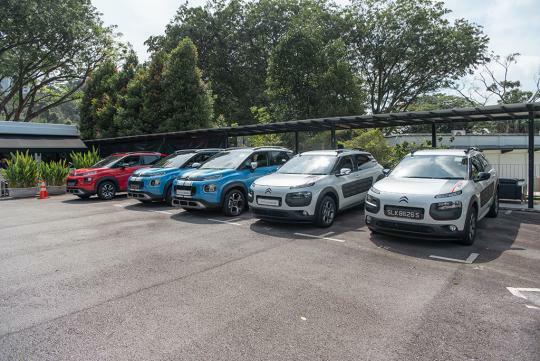 sgCarMart's Deputy Editor Nigel Yong shares what he likes about the C3 Aircross. Guests learn more about the Citroen brand and its products from Dave Wong, Senior Manager Sales & Marketing, Cycle & Carriage France. Tummies have to be filled! 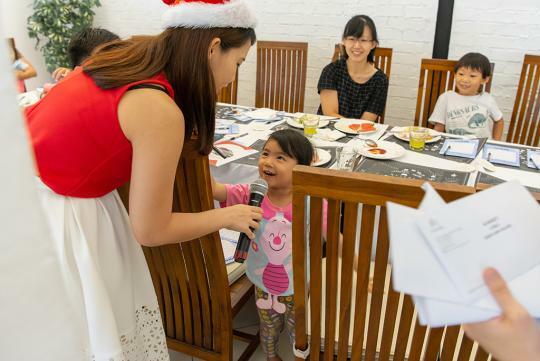 Fun and games for guests of all ages! In true MCF Hangout tradition, everyone goes home happy! Those who have graced the event, and have yet to pen down their reviews of the Citroen cars they drove, can submit one here! Click here to see more photos from the event.